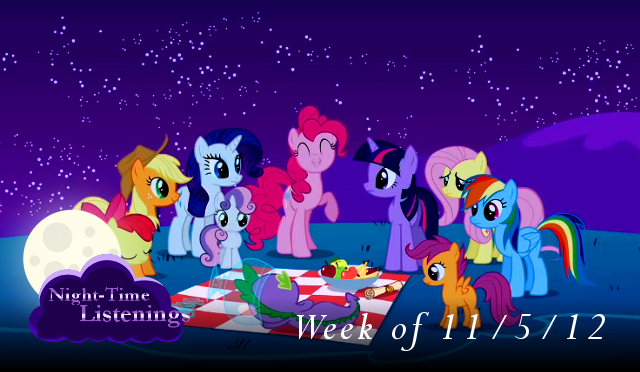 This week marked the last week fans of My Little Pony had to wait. Today was the Season 3 premier of Friendship is Magic. So all week I featured the music of one of the biggest fangames to come from this fandom, Fighting is Magic. Composed by RainbowCrash88 and Whitetail, the music featured where the themes to AppleJack, Twilight Sparkle, Rarity, Pinkie Pie, and Rainbow Dash. This entry was posted in NightTime Listening and tagged aj, AppleJack, bgm, Daniel Ingram, fangame, fighting game, Fighting is Magic, Lauren Faust, Mane6, mlp, MLP: FIM, My Little Pony, My Little Pony Fighting is Magic, ost, pinkie pie, PP, rainbow dash, Rainbowcrash88, Rarity, RD, TS, Twilight Sparkle, vgm, Whitetail on November 10, 2012 by Steven T.. 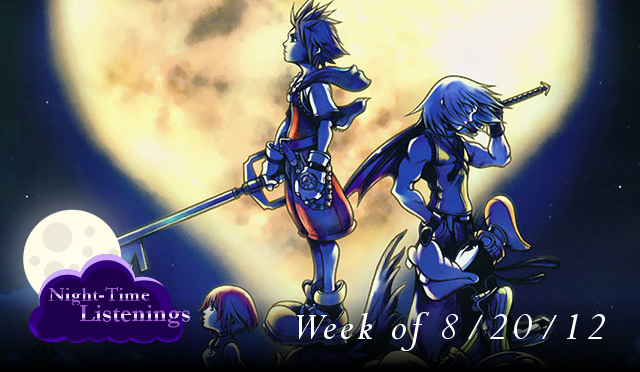 Continuing Composers’ Month, we dived into the music of Yoko Shimomura. We fought Ken in Street Fighter II. We talked to townsfolk in Super Mario RPG. We looked toward the Mana Tree in Legend of Mana. We fought some Heartless in Kingdom Hearts. And finally we fought on the plains of Bionis in Xenoblade Chronicles. This entry was posted in NightTime Listening and tagged Capcom, Earth Painting, Ken's Theme, Kingdom Hearts, Legend of Mana, Music, Night of Fate, nintendo, ost, Seaside Town, square, square enix, squaresoft, street fighter II, super mario rpg, Time to fight, vgm, xenoblade, xenoblade chronicles, Yoko Shimomura on August 25, 2012 by Steven T..